Fife (2007), in his survey of military flying in Scotland in the First World War lists the works of William Beardmore & Co (a shipyard) as also being a manufactury of land and sea-planes, and he published an photograph of the Dalmuir seaplane sheds. He reports that seaplanes were merely lowered in to the Clyde and flown off, while land planes were taken by road to the nearby Dalmuir aerodrome (see NS47SE 276). 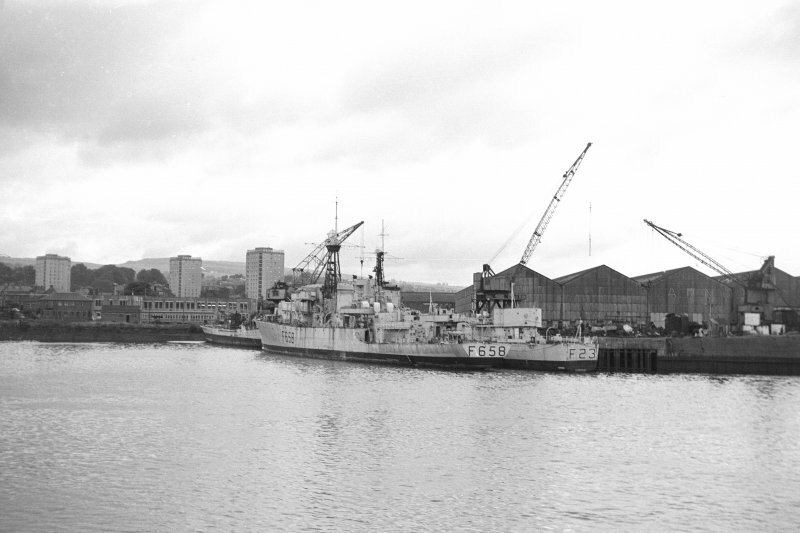 The shipyard was split up and the E side became an Asbestos Cement Works. The dividing line resulted in the removal of W shed, which is pictured by Fife (2007) as gable end to the river, thus in effect splitting the aircraft factory into two seperate building, as depicted on the 4th edition OS 25-inch map. For (integral) hammerhead crane, see NS47SE 232. (Location cited as NS 483 707). Shipyard, Dalmuir, built 1905 for William Berdsmore and Co. Some single-storey brick workshops and the fitting-out basin, now used for shipbreaking, are the principal remains of this once great yard. The works covered an area of some 90 acres when constructed, the river frontage measuring nearly a mile in length. The design and erection of the berth (with its jib travelling cranes) for battleship construction, the boiler and engine shops was carried out by Sir William Arrol and Co. Ltd.
William Arrol & Co 1909.